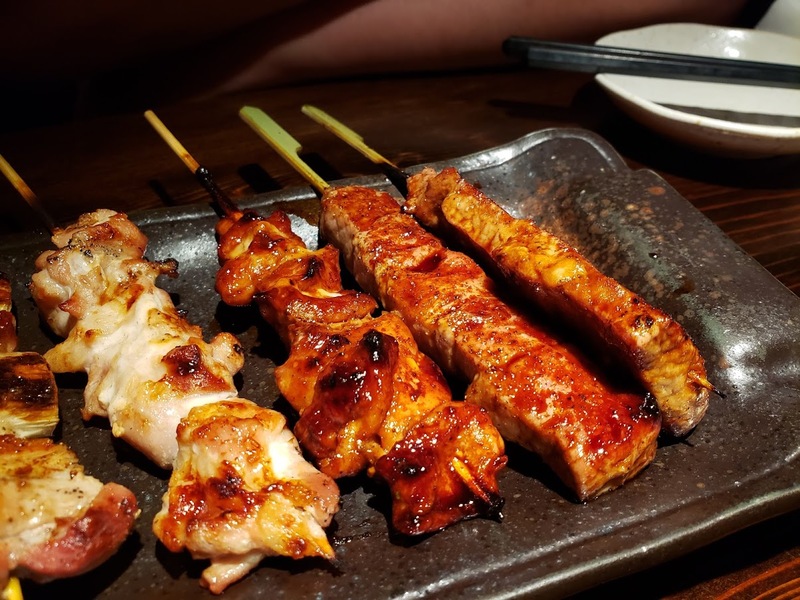 For Valentines day, the boyfriend and I wanted to try something different… so I did a bit of restaurant researching, and found Gyu-Kaku which looked super enticing! 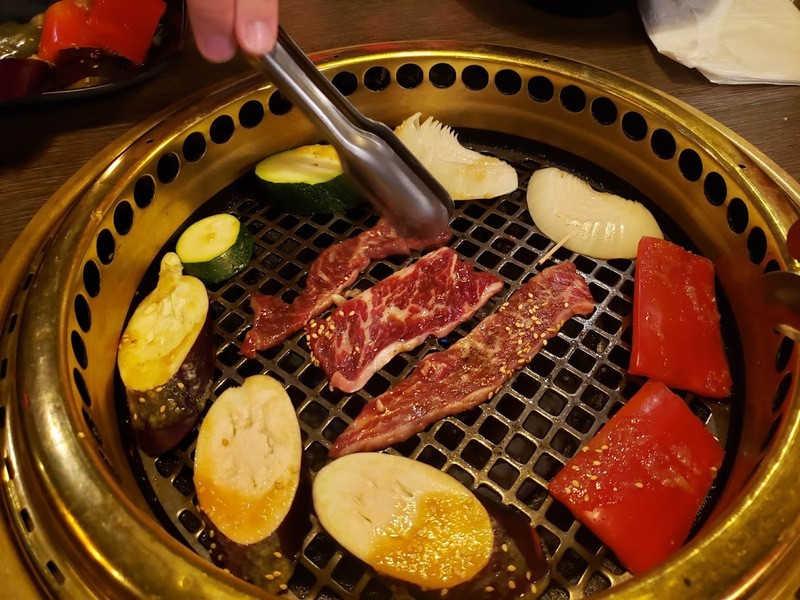 We really love yakiniku so jumped at the chance. 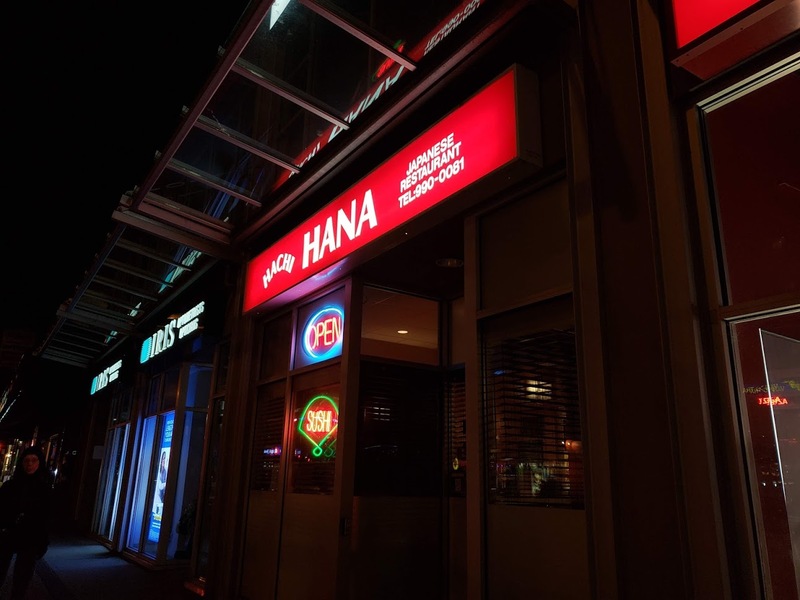 There was a problem, though… it seemed like everyone else had the same idea and the reservations were fully booked for all 3 of their locations (unless we wanted to eat dinner at 9pm). 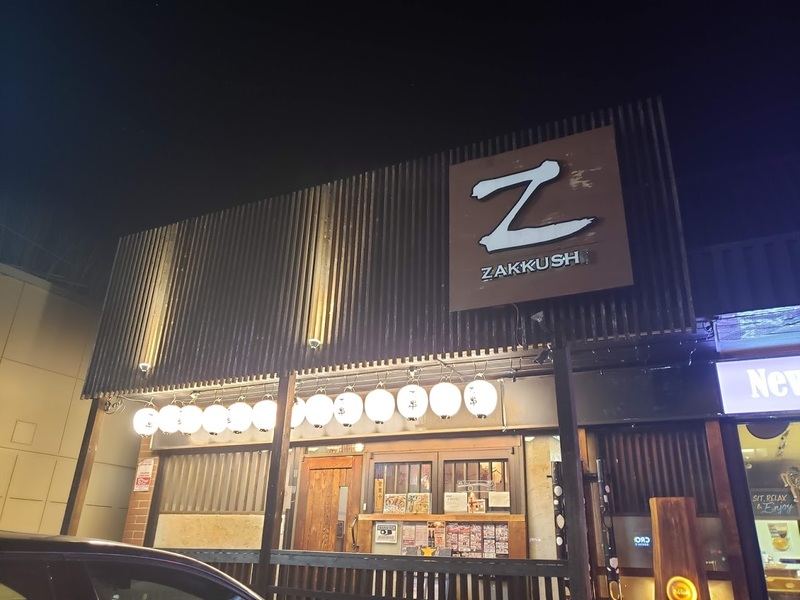 So, we waited 3 weeks for our reservation and were really excited to try it! I would definitely recommend that you make reservations, or else you wouldn’t get a table or have to wait awhile. I overheard the host quoting 30-45 minutes for non reservations! We went to the location on West Broadway, which is located on the second floor of the building. There was a parking lot but it was full, so we found some paid street parking nearby. 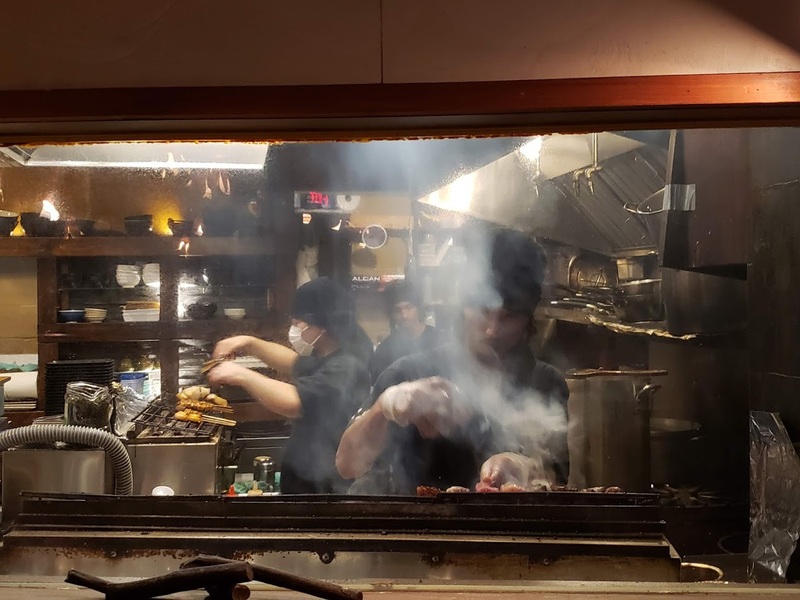 The restaurant is long and narrow, but able to fit many tables and it did not feel cramped. 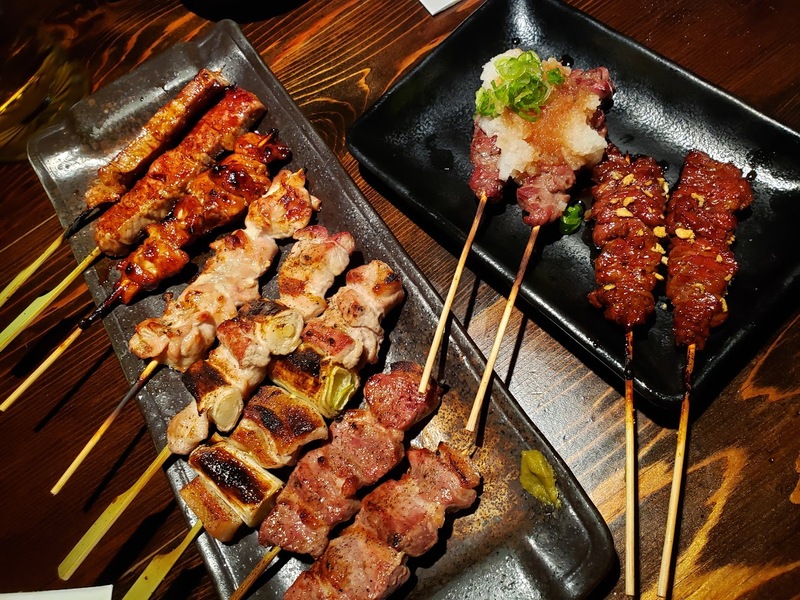 It had a lively atmosphere too, perfect for eating out on the weekends! They have set BBQ menus which seemed like a good deal. However, due to my digestive problems, I wouldn’t have been able to eat a lot of the set menu things so we ordered a la carte. 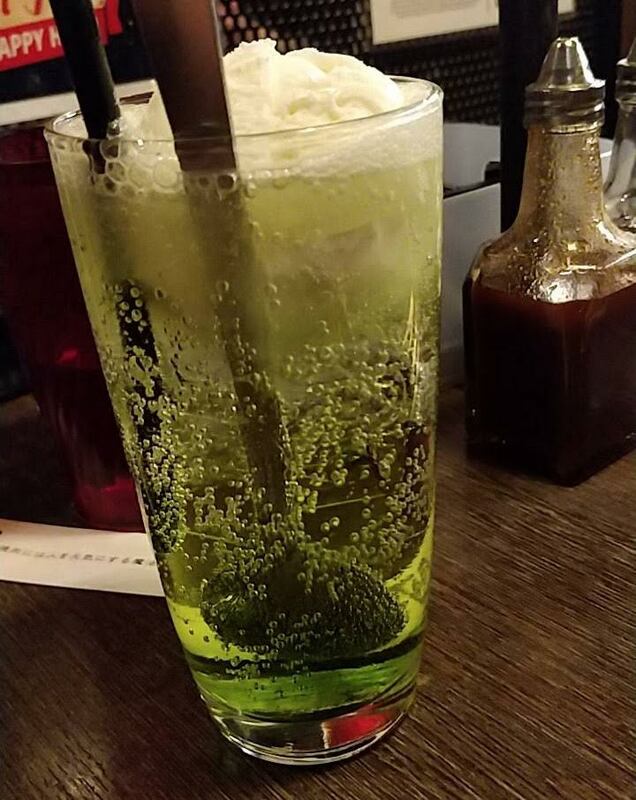 Melon soda float (alcoholic): The boyfriend had his eyes set on this drink even before we got here! We miss Japanese melon soda and wish that more places sold it here. The melon soda is not actually Japanese melon soda, it is Bols Melon which is a melon liqueur. It was topped off with a scoop of ice cream, which he really enjoyed! Sadly, I was not able to try some with my sensitive stomach. 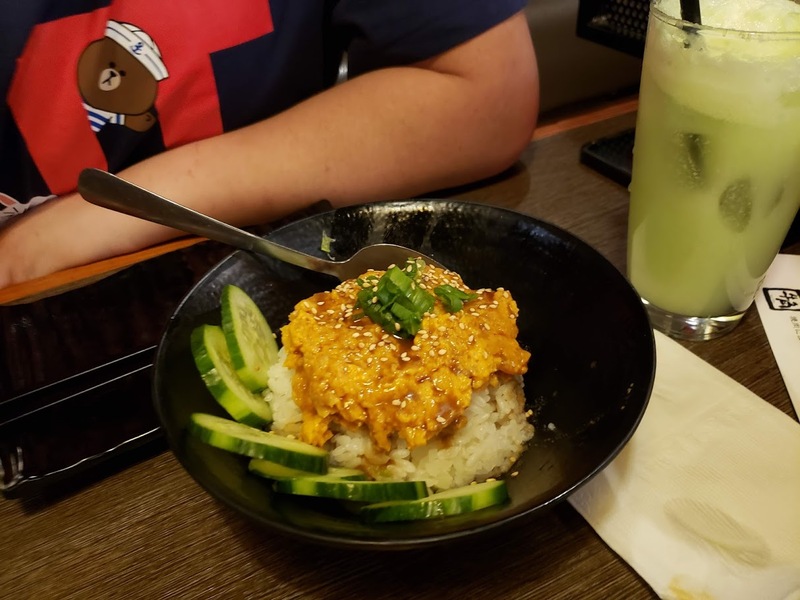 Spicy tuna bowl: To start, the boyfriend ordered a spicy tuna bowl. He enjoyed it, but probably wouldn’t order it again because he rather save room for more meat. He said that a plain bowl of rice would have sufficed. 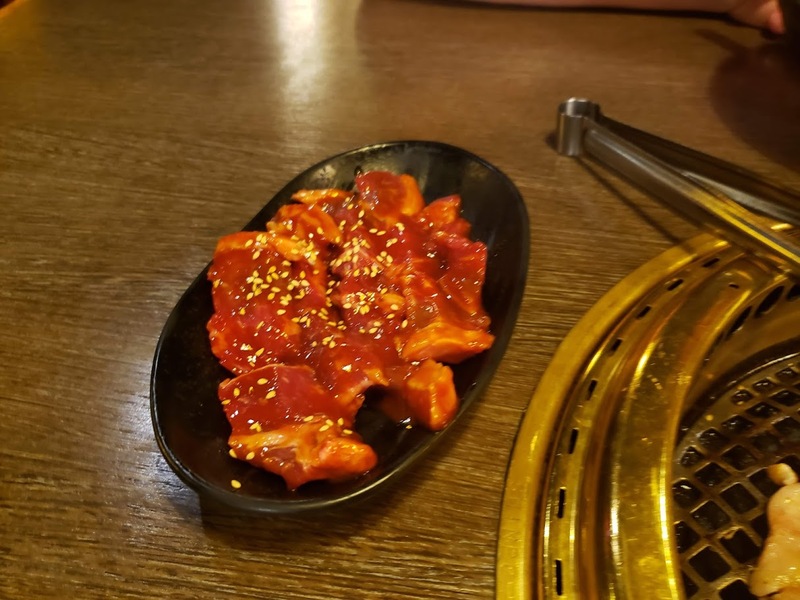 Gyu-Kaku Kalbi Short Rib: One of the two beef plates that we got! Out of the two, we both liked this one more. The beef was melt in your mouth soft, and buttery. 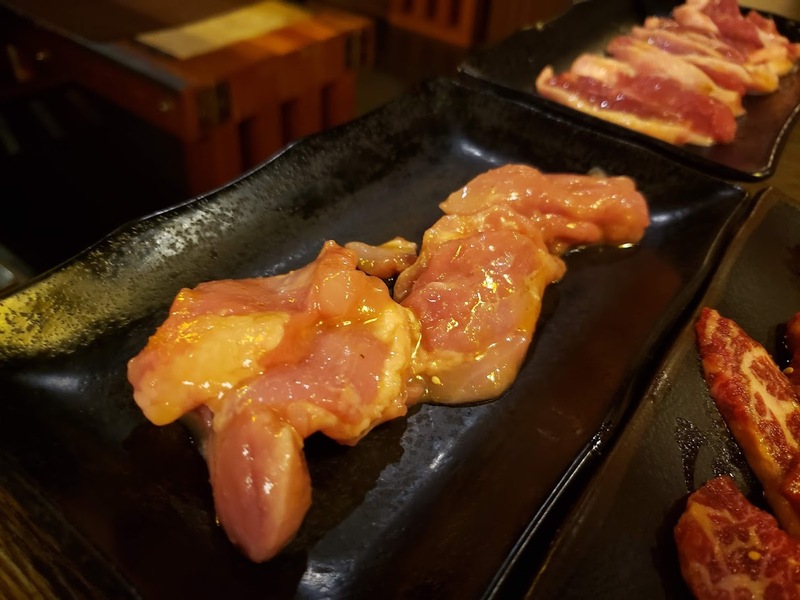 It came marinated with a tare sweet soy, which was made up of pear juice, soy sauce and ginger (couldn’t taste much of the ginger). ?? Mysterious meat LOL, we can’t remember if this was the New York Steak?? New York Steak: The New York Steak was thicker than the short rib. It was yummy too, but not as buttery since this was a leaner cut. The sauce that it came with was the miso and soy sauce. Assorted veggies (see above): We thought it would be better to order some veggies too because the meat don’t come with any! 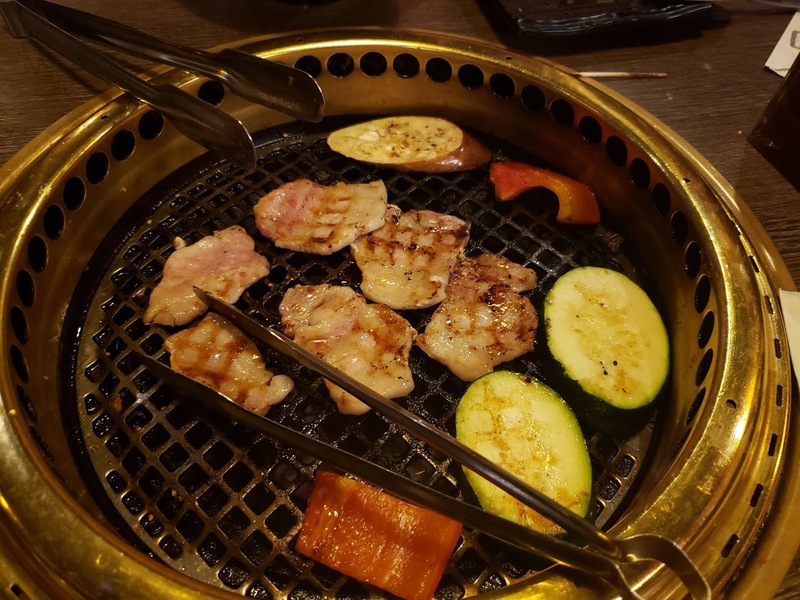 They took a bit of time to grill, so we ate them near the end. They had a very small amount of sauce, which I couldn’t really taste. 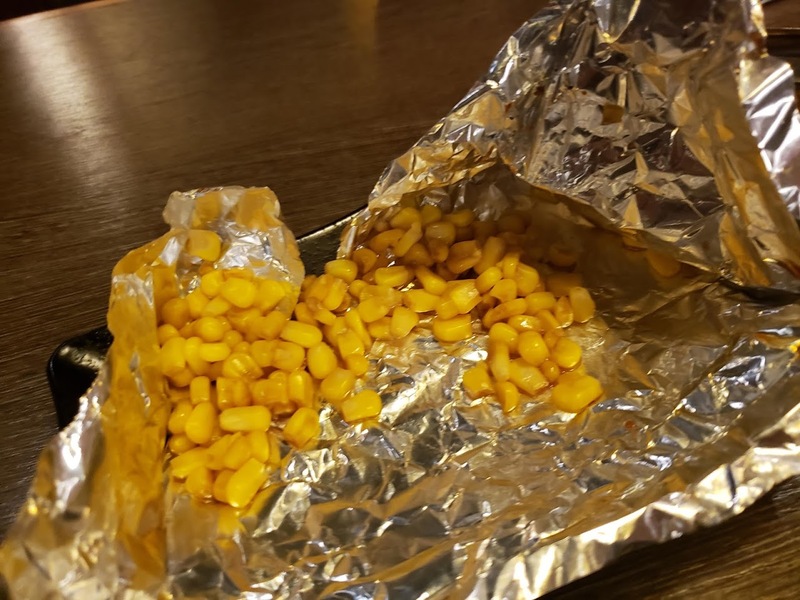 The corn normally comes with butter, which I sadly can not have. But the corn was still sweet! Chicken thigh: I love my chicken! 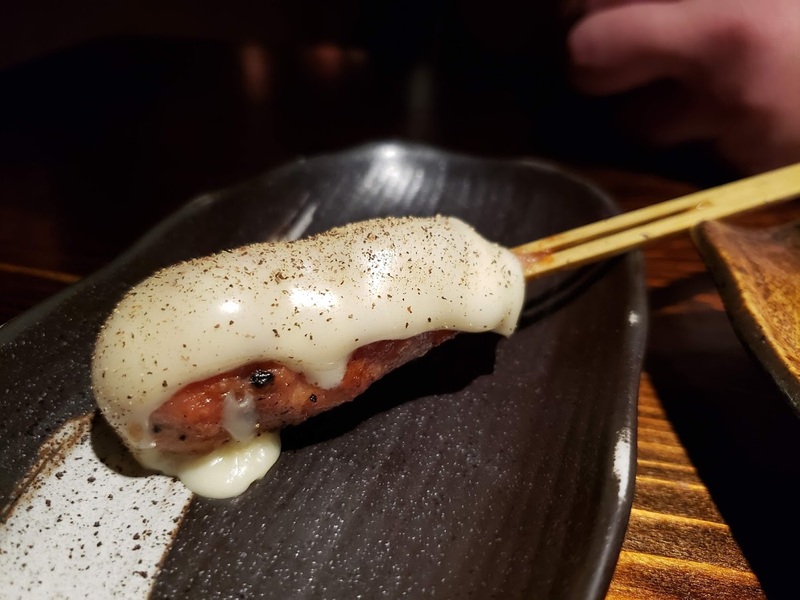 The chicken came with yuzu sauce, which was delicious! There was a slight zesty tang at the end which made it different from other marinated chicken. Duck breast: Duck breast isn’t something we normally see offered in restaurants, so we gave it a try here. 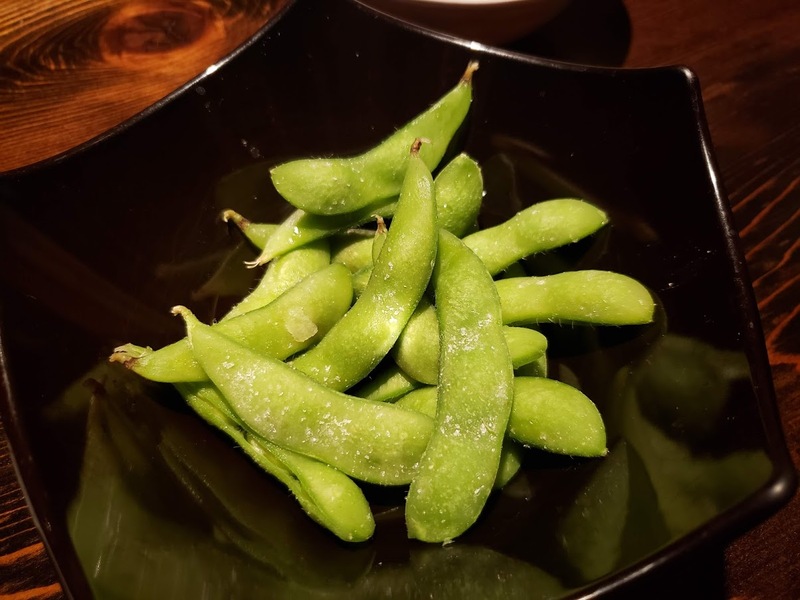 It came with the shio white soy sauce, which was a combination of garlic, salt, and soy sauce. I wasn’t expecting duck breast to be that fatty, I thought it would be more lean. Taste-wise, it was delicious! Pork belly (no photo): The boyfriend loves pork belly, so this was an obvious choice. Due to my digestive problems, my stomach can not handle that much fat unfortunately. 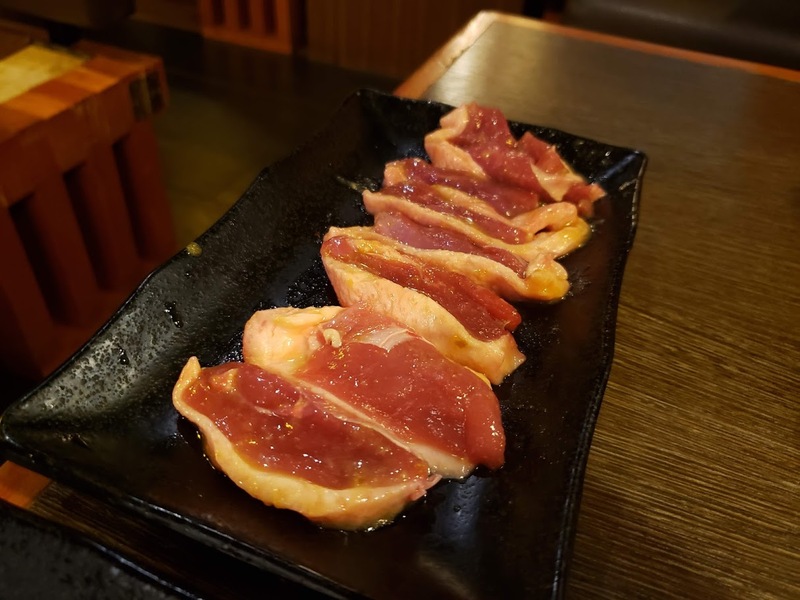 The pork belly came with the shio white soy, which was the same as the duck breast. He had no complaints about the pork belly! All in all, we left very satisfied and could see why this place is so busy all the time! It’s delicious. Service was a bit slow because it was so busy, but they were friendly. 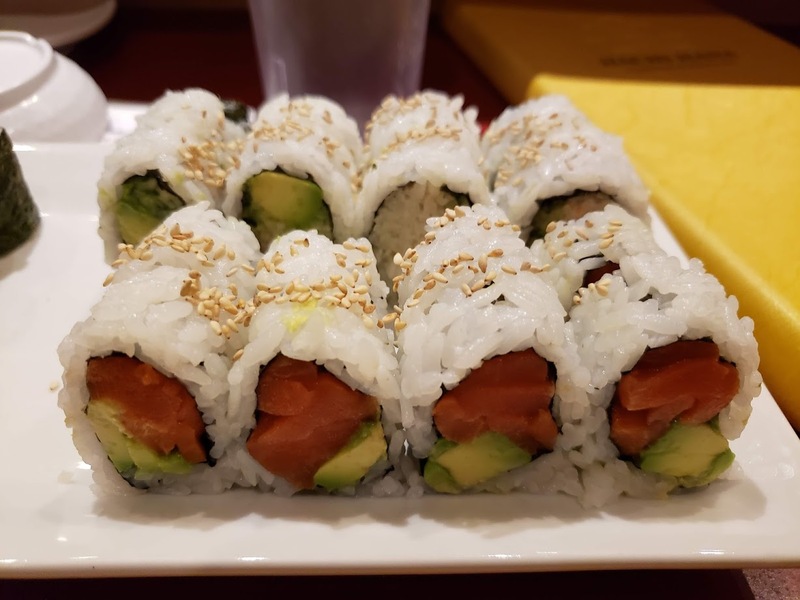 This is a special Brown Bites post, because it is a guest post written by the boyfriend! Welcome to another edition of Brown Bites. I am Carmen’s boyfriend, finally back with another guest post. In today’s edition, we have another ramen joint: Ramen Gaoh. They are a part of the ramen chain that also consists of The Ramen Butcher and Ramen Gojiro. Carmen and I have been to Ramen Gojiro in the past, so I was not hesitant to give Ramen Gaoh a try. 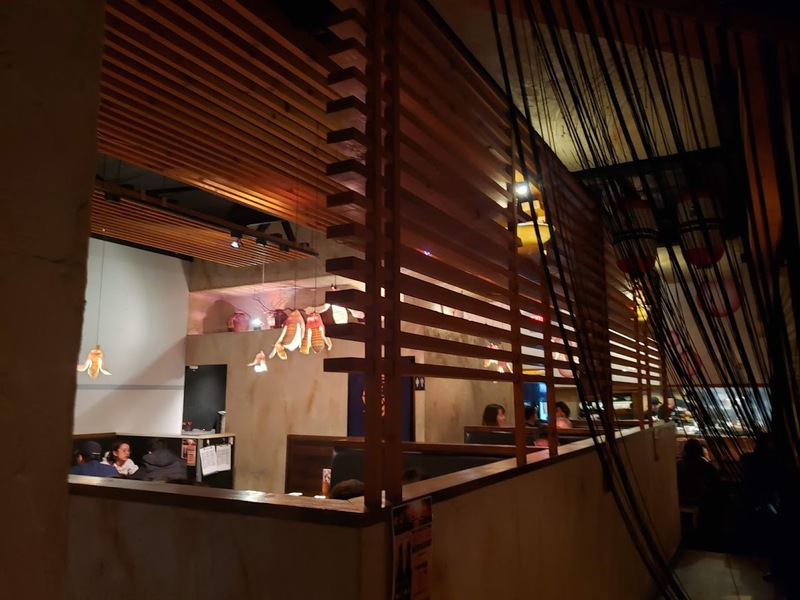 You can read Carmen’s Ramen Gojiro review here. 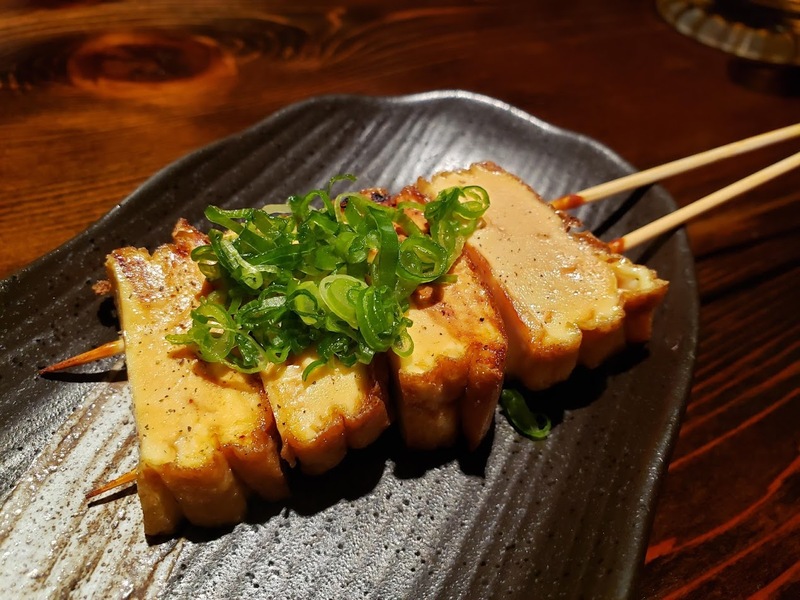 Ramen Gaoh’s menu consists mainly of miso ramen, along with appetizers like gyoza and chicken karaage. The menu is simple and easy to understand. It gives you the option to add more toppings to your ramen, but doesn’t give you options to select the richness of your broth or fattiness of your chashu as some other ramen places do. In my visit, I arrived a little after they just opened, around 11:40am, and was actually the first customer there, but the restaurant did start to fill up as it got closer to lunch. AKA MISO RAMEN: I ordered the Aka Miso Ramen, which is red soybean paste broth. 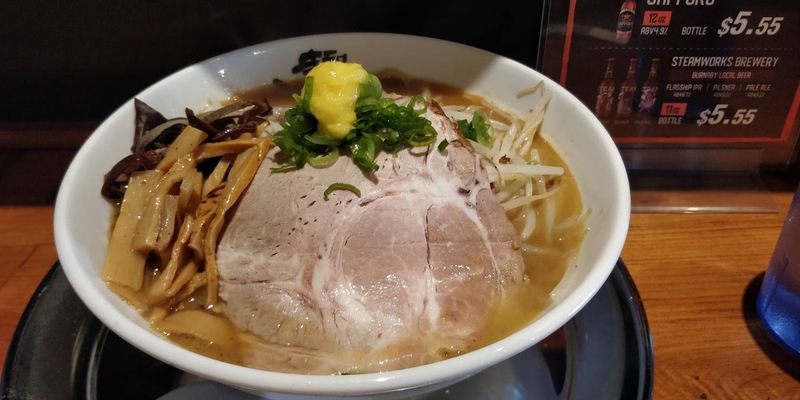 The ramen comes with bamboo shoots, wood ear fungus, bean sprouts, and a single slice of chashu topped with green onions and ginger. The noodles were perfect: good texture and decent portion. The broth was not for me though. Since I prefer my broth as plain as possible to get the chicken and pork flavour from the stock, the aka miso overpowered the other flavours of the stock. It was a mistake on my part. 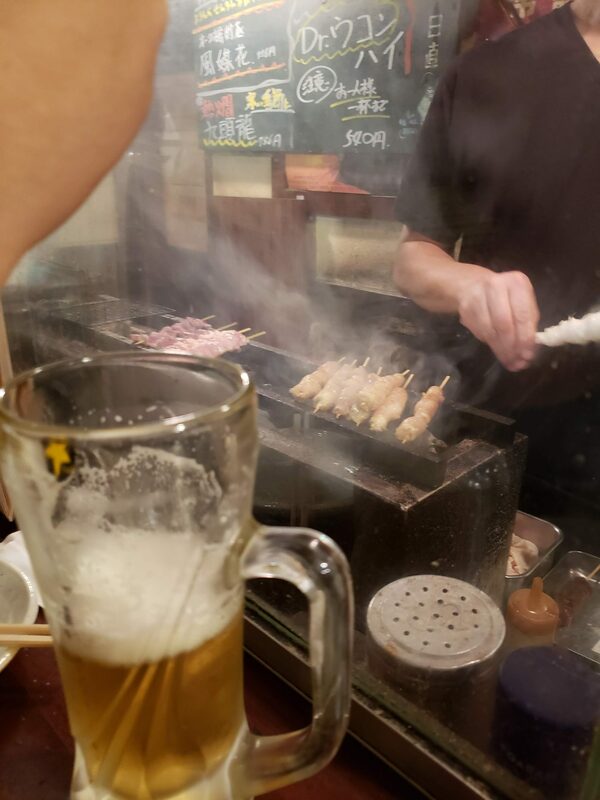 The chashu was good, if nothing special. 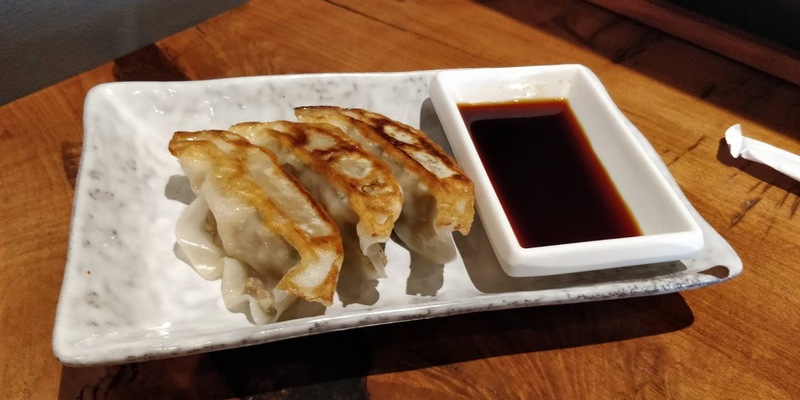 ORIGINAL GYOZAS: The gyozas were part of the ramen combo for an additional $3. 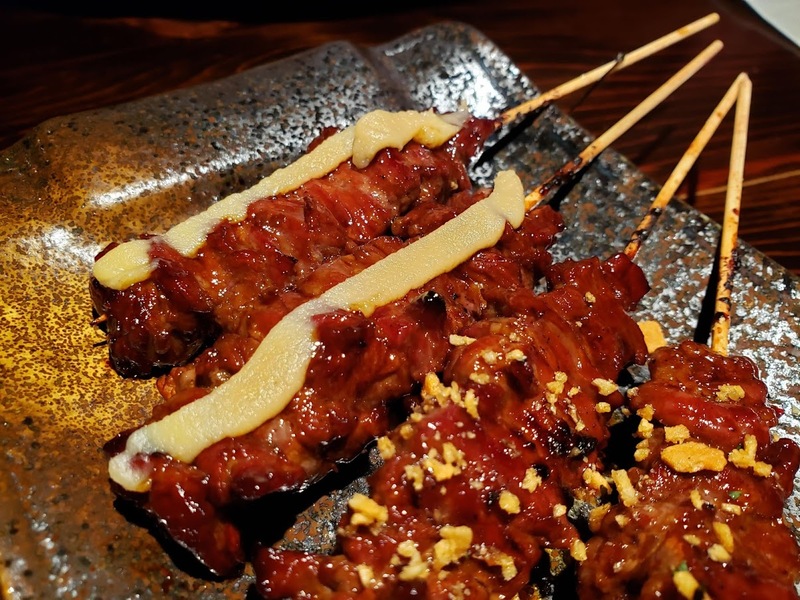 The skin was thin and pan fried to a nice crispiness, and filling was tender and juicy pork. Definitely worth trying in their other flavours. 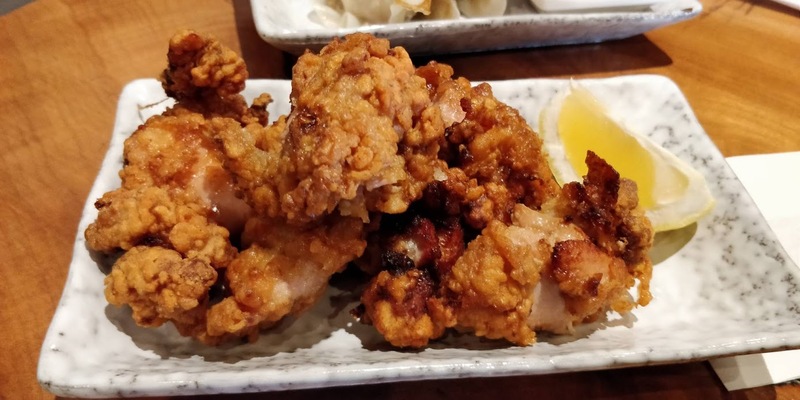 ORIGINAL CHICKEN KARAAGE: If you have been to Ramen Gojiro and tried the chicken karaage, then you will not be disappointed here. The chicken is the same garlicky, crispy, and juicy chicken goodness you can get there. This was a lot of food for one person so I ended up taking the chicken karaage home for later. In conclusion, I’m glad that I finally tried Ramen Gaoh. 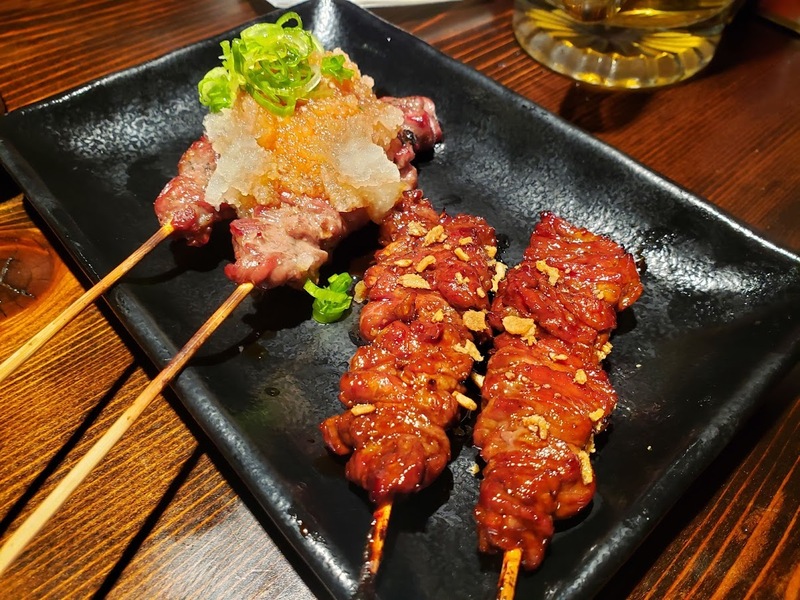 I would come back for their chicken karaage, instead of making the trek to their sister restaurant, Ramen Gojiro in downtown, or the gyozas. Thanks for reading my guest post! Now I will hand it back to Carmen. 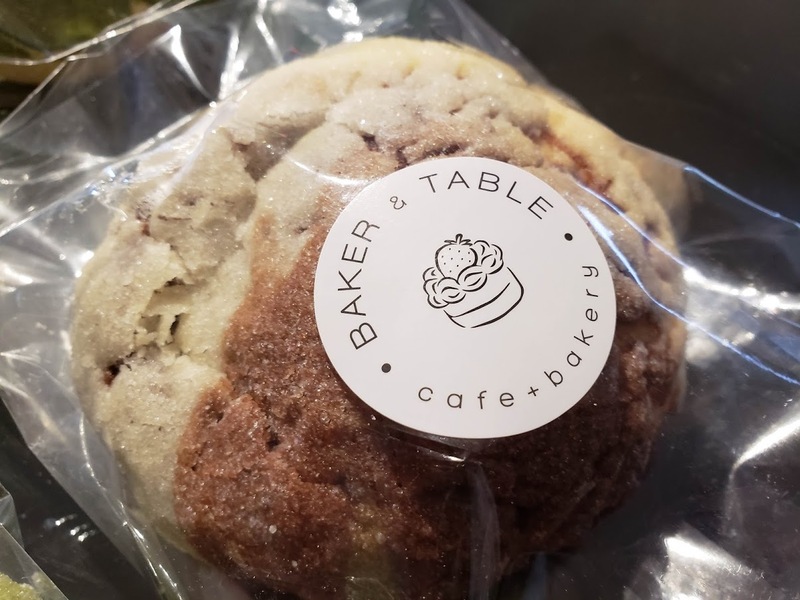 Baker and Table Cafe has been on my radar ever since it opened two years ago. 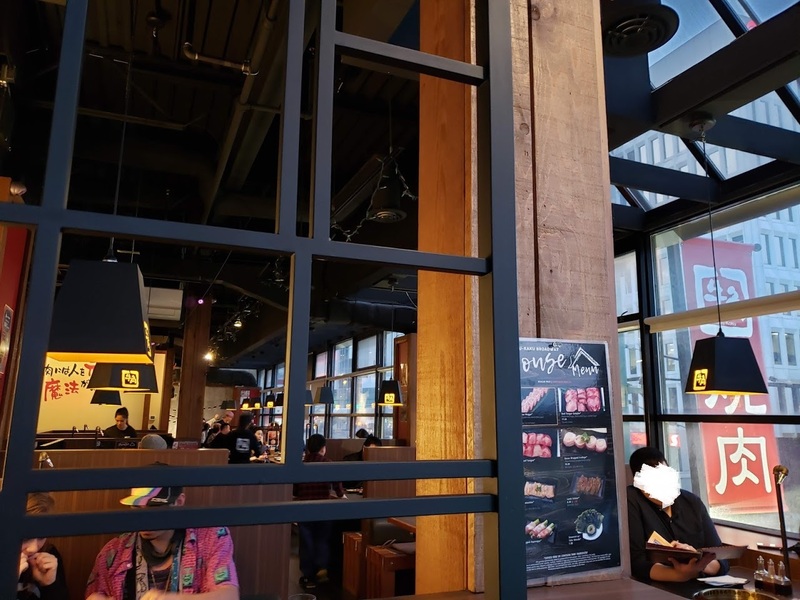 I always make a mental note to try it when we are in the Fraser St. area, but the restaurants we usually go to (Deer Garden or Angel) are sooo filling that I end up forgetting about going. 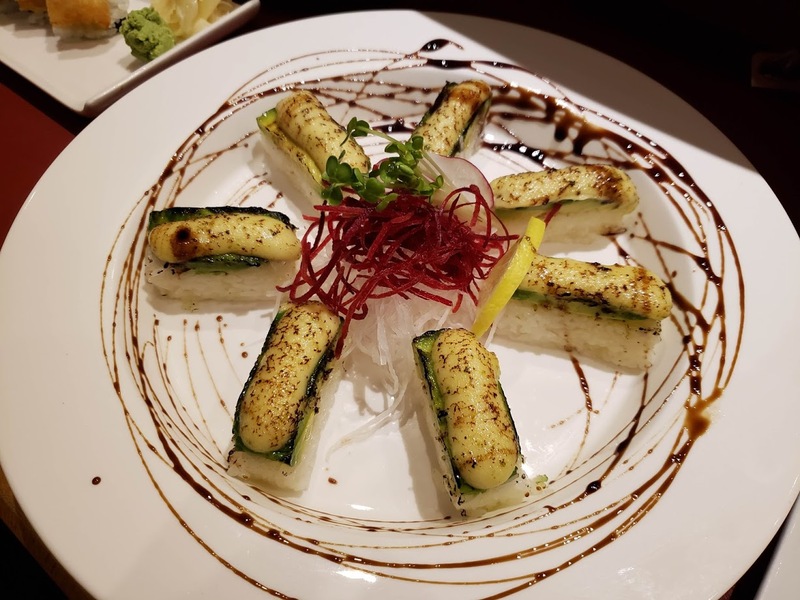 It’s no secret that the boyfriend and I love Japanese food and culture. Despite going to Tokyo only 3 months ago, we miss Japan a lot and can’t wait to go back! 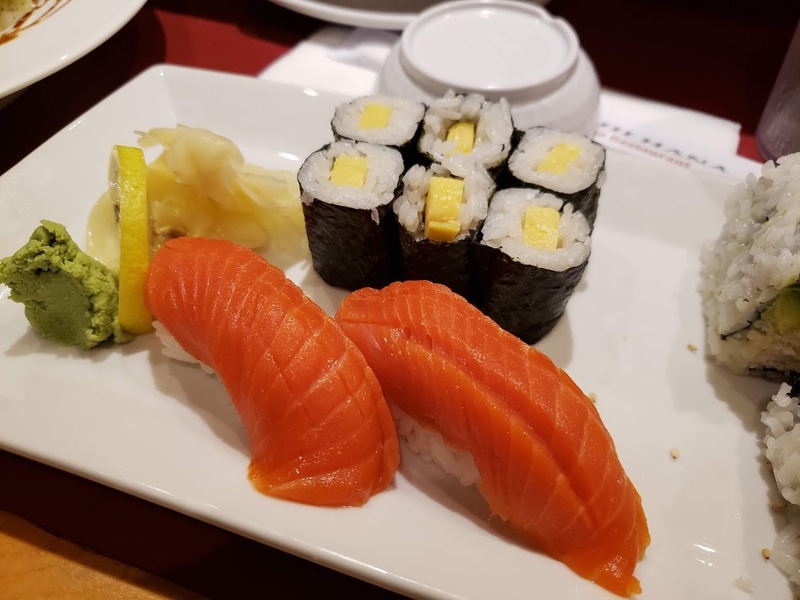 To get our Japanese grocery fix, we go to Fujiya often. 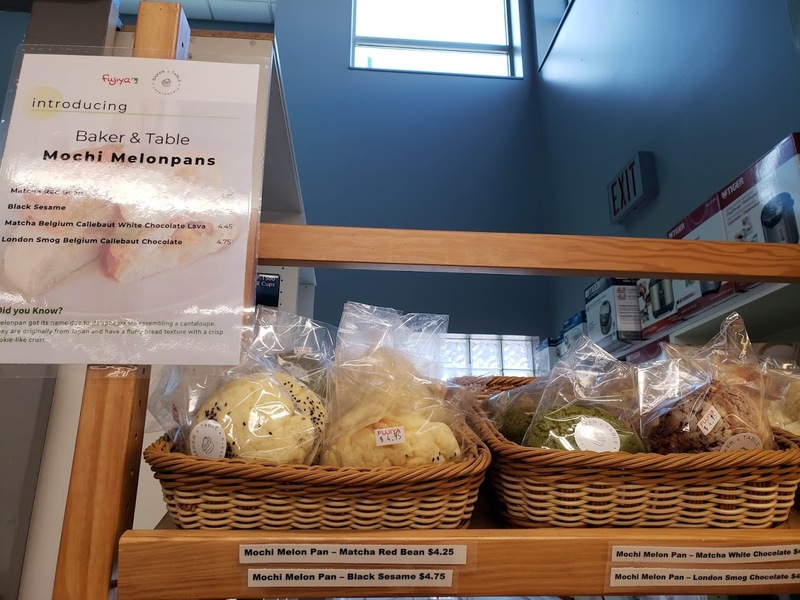 On one of our grocery trips, I noticed Fujiya carried some mochi melonpan from Baker and Table (weekends only)! I took my chance and bought all 4 buns that they offered. My stomach was not happy with me but sometimes I want to try new things. A melonpan is a type of Japanese bun. There isn’t any melon in it per se, the name originated from how the bun looks like a melon. Pan is the Japanese word for bread. These are the four melonpans that we bought! The flavours that day were matcha white chocolate, black sesame, London smog chocolate, and matcha red bean. 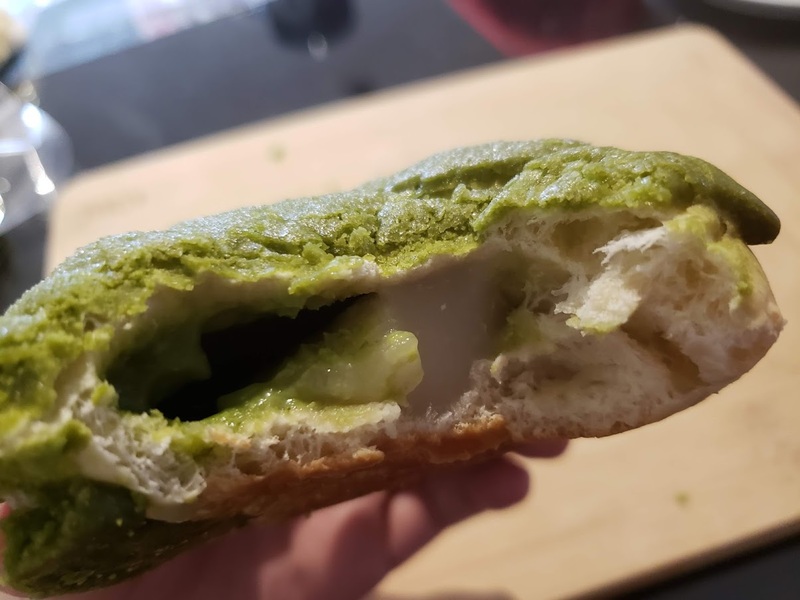 Matcha white chocolate melonpan: The matcha flavour was pure, strong and earthy. 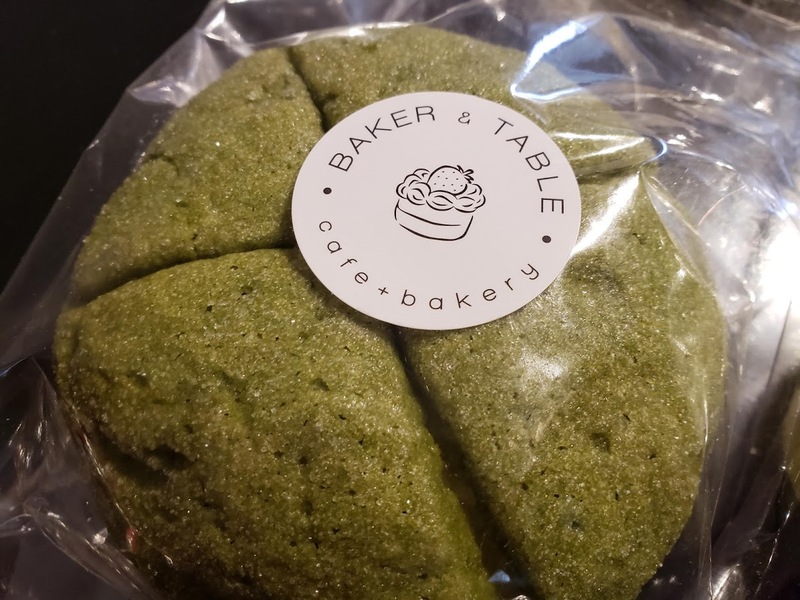 It reminded me of matcha treats in Japan, because they do not sweeten their matcha as heavily as in North America (I’m looking at you, Starbucks). After a few bites, we were greeted with the chewy mochi! It was delicious. Although there wasn’t much white chocolate taste, it was still a delicious bun. 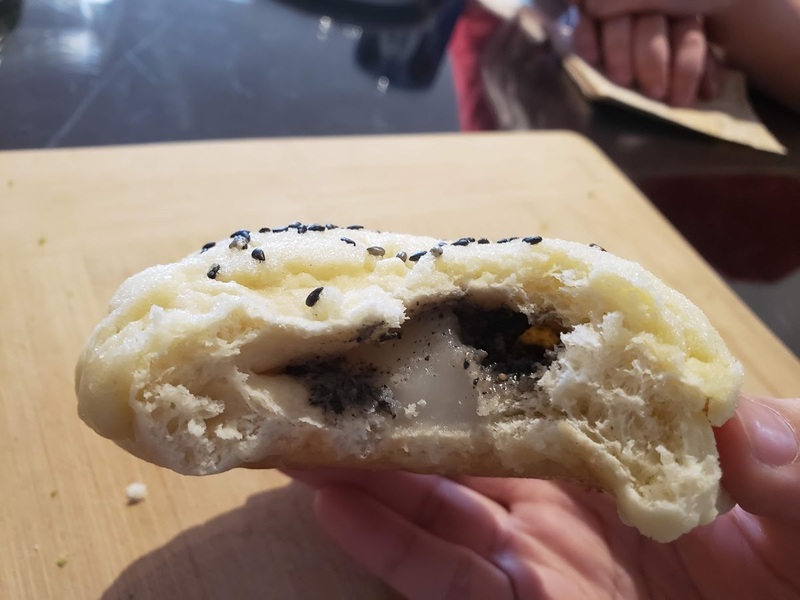 Black sesame melonpan: Next up was the black sesame! The first few bites didn’t have much sesame flavour, but once we got to the center of the bun, there was a lot of black sesame paste. 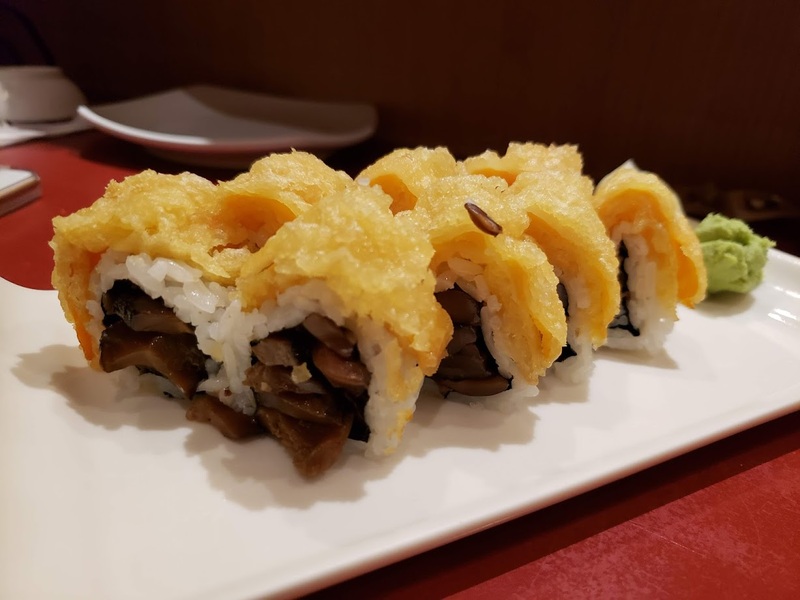 As with all of them, the texture was fluffy and soft. So delicious! 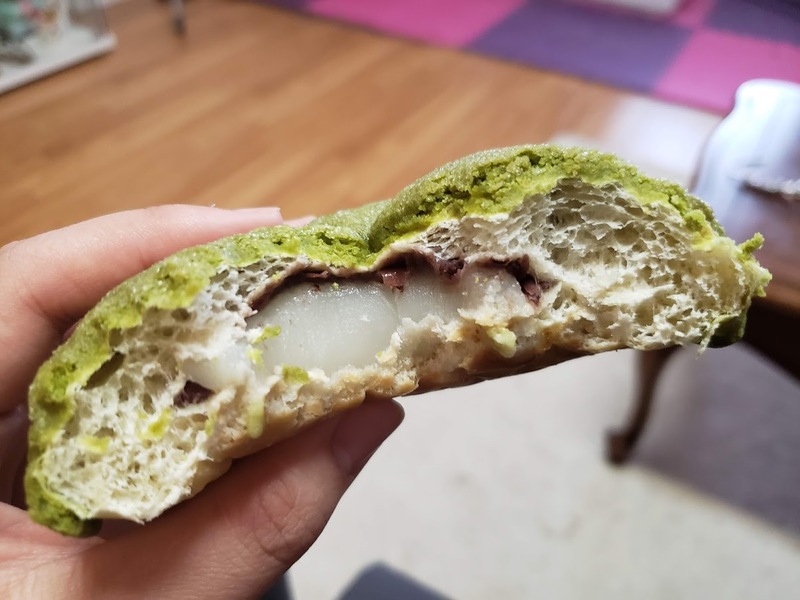 Matcha red bean melonpan: Compared to the matcha white chocolate melonpan above, the red bean one was a lot neater to eat. I let him eat all of this because of my digestive issues. 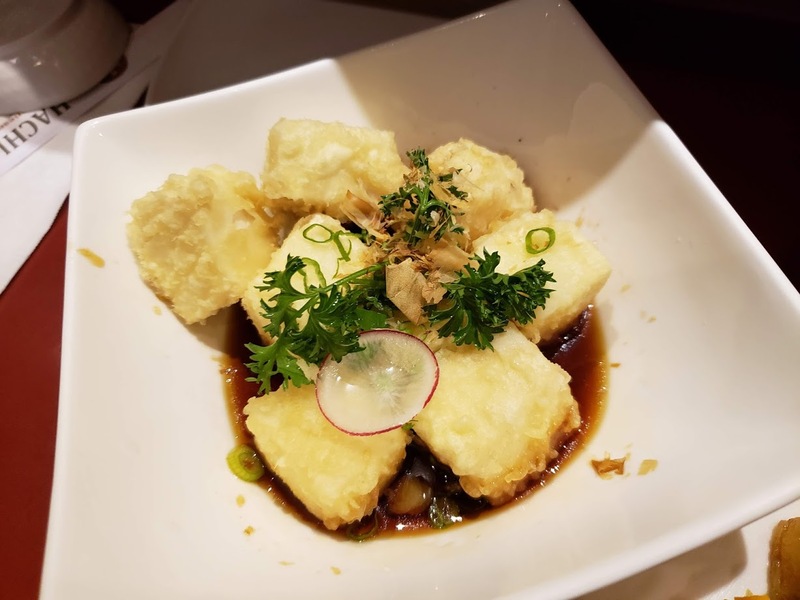 This is one of the boyfriend’s favourite combinations, and he quite enjoyed it. 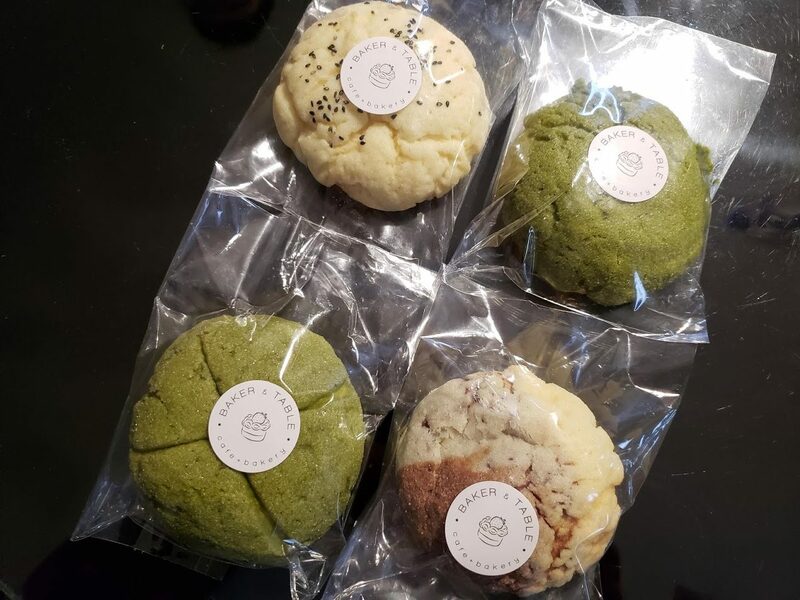 London smog chocolate melonpan: Last but not least! I also let the boyfriend eat all of this because of my stomach problems. I was surprised that he enjoyed this one the most, I thought surely he would have loved the red bean matcha most! The reason why he liked this one the most was because it was the sweetest. This is probably the most ‘Western’ one of them all because of how sweet it is! All in all, we enjoyed all the melonpan that we bought that day. 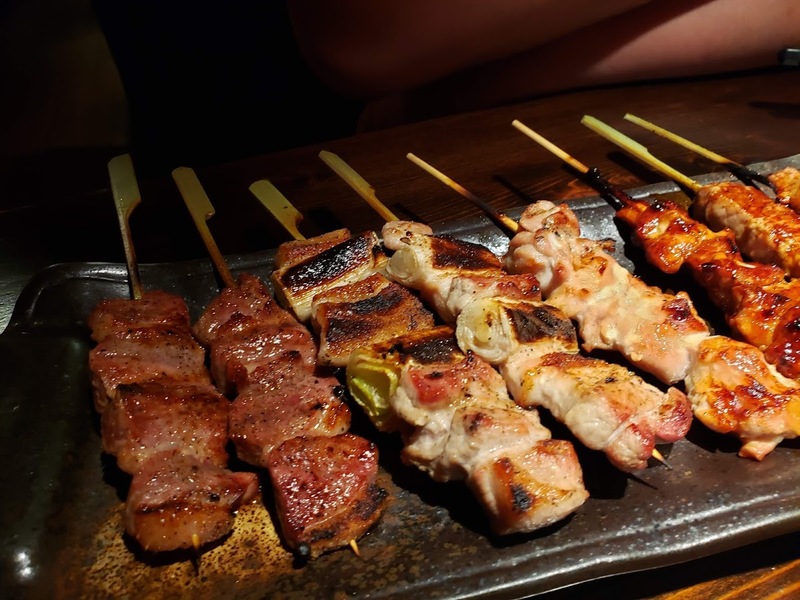 I didn’t eat as much as I would have wanted due to my digestive issues, but I did enjoy the bites I had (and surely suffered after lol). Time to go check out their actual cafe and try more things! They also offer lunch and dinner things too. Another cool thing about Baker and Table is that they are a peanut free facility, for those with peanut allergies. Now, they just need to add some non-dairy versions so I can enjoy more of their pastries! They have a vegan waffle which I would love to try!